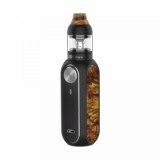 OBS Cube Mini Kit, with excellent design and exquisite resin panels has two optional capacities and coils, which will greatly enhance the flavor. 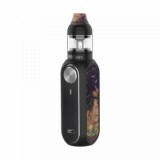 Top filling design and airflow system will also enhance your vaping experience. 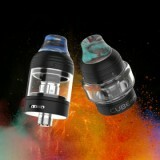 Here come the latest OBS Cube Mini Kit, with excellent design and exquisite resin panels. 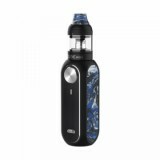 Powered by 1500mAh built-in battery, it can support your long vaping trip and provide you MTL vape of low power output. Two optional coils are available for you—0.6ohm Mesh Coil and N1 1.2ohm Coil, which will greatly improve the flavor of your vaping. Moreover 2ml and 3ml capacity is available for you to choose. You will find it easy to operate this device due to the big and quick-response button. OLED Screen and 3 Colors LED Indicator will also help you see clearly the status of the device. 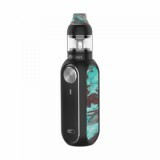 Top filling design will help you avoid leakage problem and together with adjustable airflow system will enhance your vaping experience. • No e-juice include, you have to buy it separately. • you can see other Kit in BuyBest. Beautiful appearance, I think it's the best choice for starters. 1500 mAh Battery can last for more than one day vaping! Love this kit! The top filling design is so convenient and works well! Love it! It's easy to operate this device due to the big and quick-response button, like this kit very much! Fast delivery, works well so far! This Cube Mini kit is great for on the go.